When you’re invited on fancy press trips, like my visit to Dalmore that I filled you in on earlier in the week, there’s a lot of whisky on show. But let’s be honest, you don’t need to hear me drone on about absolutely everything I tasted. So instead, here are my top picks from the trip. The Cigar Malt is one of those whiskies which falls into the “Risen from the Ashes” category. It was discontinued in mid-2009, with uproar ensuing. So (like Cadbury’s Wispa) Dalmore re-introduced it in 2011. As the name suggest, this malt goes extremely well with a cigar, but isn’t essential to its enjoyment. The mix of casks comprises 70% Sherry casks, 20% Bourbon casks and 10% Cabernet Sauvignon casks. There’s lots of sweetness and spice on the nose, with toffee, caramel and biscuit sitting alongside cinnamon and cardamom. The palate delivers on the nose’s promise, maintaining the balance between sweetness and spice. Robust fruity flavours from the sherry, including marmalade, raisins and currants, also come through. I’ll need to hunt down the recommended Partagas Serie D No. 4 and report back on how they complement each other. The King Alex bottling always feels like the pinnacle of Richard Paterson’s time at Dalmore, as it really brings his expertise in wood to the fore. The whisky has been matured in SIX different casks types – ex-bourbon casks, Matusalem oloroso sherry butts, Madeira barrels, Marsala casks, Port pipes and Cabernet Sauvignon wine barriques – before a final marriage to bring all the flavour together. And what flavours!! The overriding character on the nose, for me, was chocolate orange – combing the richness of chocolate with the zing of orange oil. Like the cigar malt, there’s rich toffee and creamy vanilla fudge, along with a Sherry inspired warmth. This combination of flavours opens out onto the palate, with a chocolatey sweetness to start, followed by lots of dark fruits, including raspberries and blackberries. The spicy warmth flows right across the palate with a burnt sweetness to finish. After dinner back at our accommodation, we had the once-in-a-lifetime chance to taste The Dalmore 50 Year Old. This was launched at the tail end of last year to commemorate Richard Paterson’s 50 years in the whisky industry. The limited edition has been aged in American white oak, Matusalem oloroso Sherry casks from the González Byass bodega and colheita Port pipes from the Douro region of Portugal, before being finished for 50 days in Henri Giraud Champagne casks. And to keep the 50 theme going, it comes with a price tag of £50,000!!! I’m not going to get bogged down in the details of this, suffice to say, it was fantastic. 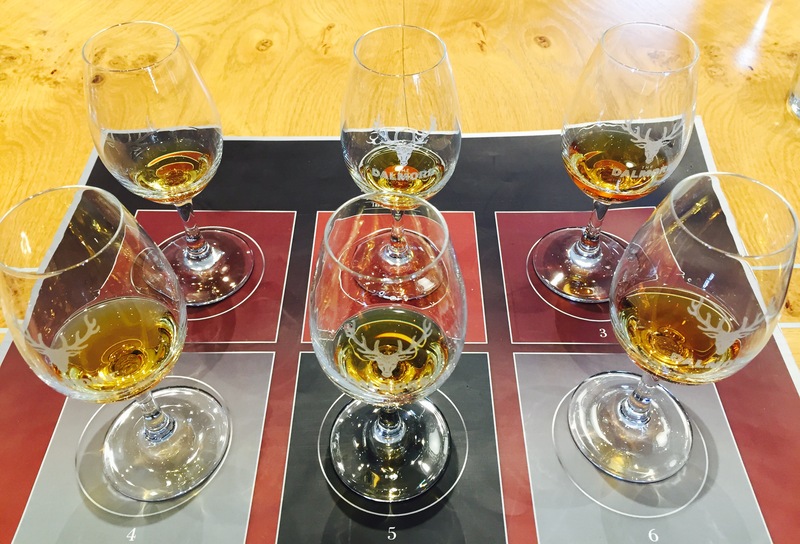 You might think this has something to do with the price tag, but I’ve tasted whiskies of this age and older since I first set up this blog, and none of them have come anyway near that quality of spirit demonstrated here. I’ve written about The Dalmore 18 Year Old and The Dalmore Quintessence previously, and you can find the write-ups here and here. 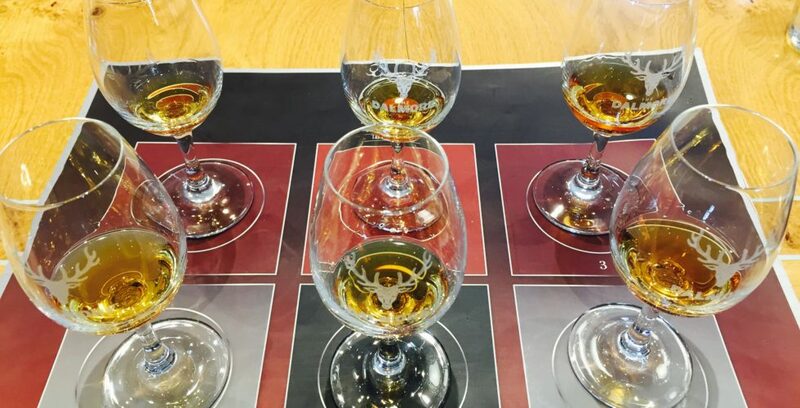 For more information about visiting Dalmore Distillery, hop on over to its website. My trip was organised and paid for by Dalmore.